David Abbink was invited to deliver one of the four keynotes at the Gala van de Wetenschap, alongside Robbert Dijkgraaf, Ivo van Vulpen and Luise Vet. The gala aims to show the latest scientific developments, brought by top scientists in their field. David talked about how robots and humans should work together, and demonstrated seven robots from the Delft Robotics Institute, the Dutch NAO team, and H-Haptics. 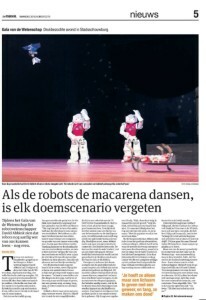 His performance received extremely positive reviews in the press, like Folia (“David kreeg een volle Stadsschouwburg plat”), New Scientist (“David stole the show with his robot circus”) and Dutch newspaper Het Parool (see below). You can see the entire presentation of David here (all in Dutch), or a movie of the whole evening here. Additionally, David was asked to organize the musical intermezzo… He did so behind drums, with musicians from his former band Cultura Tres, in the original line-up up their debut album. 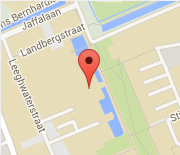 The evening was held in the Stadsschouwburg Amsterdam (Grote Zaal), from 20:00-23:00 on saturday November 28. 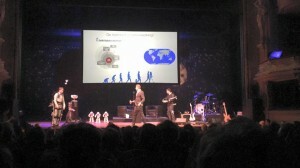 It was organized for the third time by Folia, The New Scientist, Dutch newspaper Parool, and de Stadsschouwburg.